There are many reasons and data behind the confidence of success, a seminar was told on 18 September 2018, according to a recent report. The rising number of registered EVs, the development of a locally made EVs, as well as research and development of some EV parts are indications that it could have a major role in Thai society, according to a committee member of the Electric Vehicle Association of Thailand (EVAT), at a panel discussion yesterday titled “The future of Electric Vehicle in Thailand. The discussion was held as part of an Industry Summit, organised by an electronics manufacturing company in Thailand, as a venue for exchanging innovative ideas for a sustainable future. The committee member said the number of EVs in use in Thailand was gradually increasing, leading to the continuous growth of infrastructure of charging stations. More stations will boost the confidence of consumers in using EVs and so far, there are 500 charging stations in the country. The member pointed out that the accumulated number of EV registrations in Thailand for Battery Electric Vehicles [BEV] and Plug-in Hybrid Electric Vehicles (PHEV) sharply increased from 2016 to 2017. In 2016, there were 80,194 registrations but the number surged to 102,700 in 2017, or an increase of 20,000 units. Another indication is the higher imports of EVs. In addition, more BEV motorcycles were sold these days, pointing to its popularity. Moreover, EV manufacturers are hiking production amid increasing demand from buyers, and educational institutions have launched development projects for EV battery, motors and the structure of a light-weight car. The committee member believes the price of EVs could come down in the future as the government will support its usage with incentives. 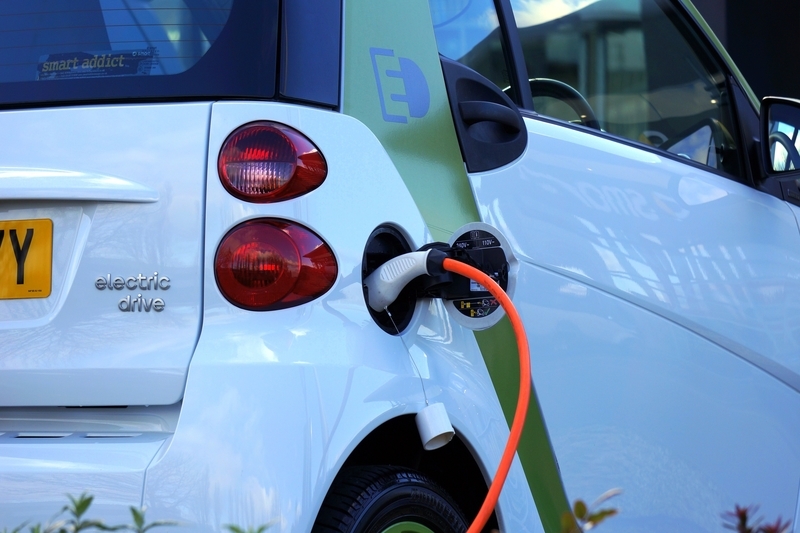 The Director of Research and Development at the Metropolitan Electricity Authority [MEA], said that the power agency would provide sufficient electricity to serve the targeted number of EVs. The MEA has recently launched an online application on the locations of EV charging stations for the convenience of drivers. In a separate panel discussion titled “A Decade into the Future: Predictions for Thai Cities”, participants said smart cities would be the cornerstone of the country’s future urban landscape, with significant investment from the government and private sector. The Vice Minister of the Ministry of Digital Economy and Society said that the government would expand its smart city project to three more provinces – Chon Buri, Rayong and Chaochengsao – on the Eastern Economic Corridor this year. Currently, Phuket, Chiang Mai, Khon Kaen and Bangkok are the cities earmarked for the pilot programme. Within the next five years, Thailand will develop smart cities in all 77 provinces. The Vice Minister added the two factors driving the development of smart cities are the engagement of community and local government and the connectivity and sharing information with technology solutions. However, Bangkok Bank’s Executive Vice President warned that smart or high-technology is a double-edged sword, and backup measures were needed in the event of malfunctions. The VP cited an incident late last month when banks’ electronic money transfers, withdrawals and payment services crashed for several hours. The banks attributed the issue to heavy interbank money transfers at the end of the month at large banks. Simplicity or convenience of a group of people could come along with difficulty or complexity for another group [of people], according to the VP. Another leader stated that the countries leaders are currently witnessing the decline of old technologies such as gasoline cars and the gradual shift to smarter, cleaner technologies to power the lives of citizens and manage Thailand’s cities. However, the shift to the future will only gain real momentum when the public and private sectors work together and get serious about action for climate change and managing urbanisation.